Players can build up their card collection by taking part in the game's latest Twitch promotional giveaways. As a limited-time promotion made in celebration of the upcoming PAX West expo, Bethesda and Dire Wolf Digital will be doubling all Twitch drops for their popular CCG The Elder Scrolls: Legends. Effective this Friday and running through the following Monday, players tuning in to Elder Scrolls: Legends streams on Twitch will have a chance of earning twice the usual drops -- though, for now, it's unclear whether or not the drops will be doubled in value or doubled in increment. For those who haven't yet heard, a recent collaboration between Bethesda and Twitch has allowed players to earn in-game content for Elder Scrolls: Legends simply by watching or streaming the game on Twitch. For some time, Twitch drops were about the best way that new players could start building up their card collection, as Twitch drops generally provided card packs, gold players could use to buy card packs, or Soul Gems that could be used to craft the cards themselves. While the current Twitch drops aren't as massive as they once were, Bethesda has tweaked the numbers in a way that should provide ample drops to more people more frequently. And, of course, now that they're running this 2X drop weekend promotion, players could potentially earn several large gold drops or even multiple Legendary card packs over the course of four days. It's not guaranteed, of course -- Twitch drops are random, after all -- but any player who wishes to earn some easy bonuses for The Elder Scrolls: Legends can hit up on our guide how to take advantage of Twitch drops. 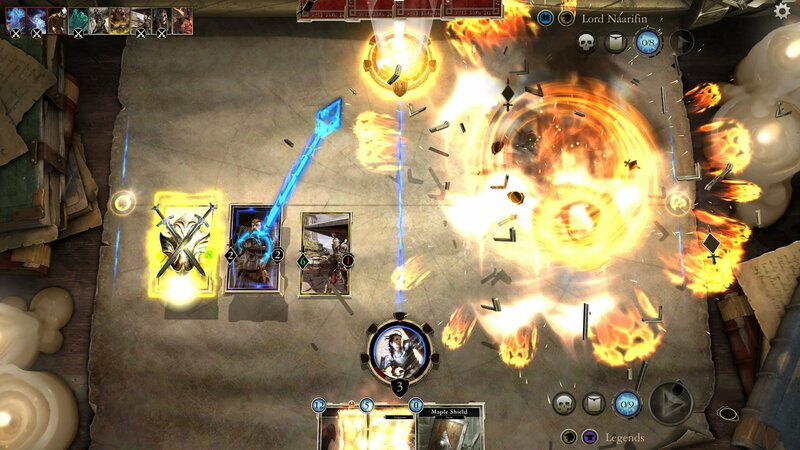 The Elder Scrolls: Legends is one of the hottest free-to-play games on the mobile market right now. To discover more great F2P titles, check out our list of the Best Free To Play Games.